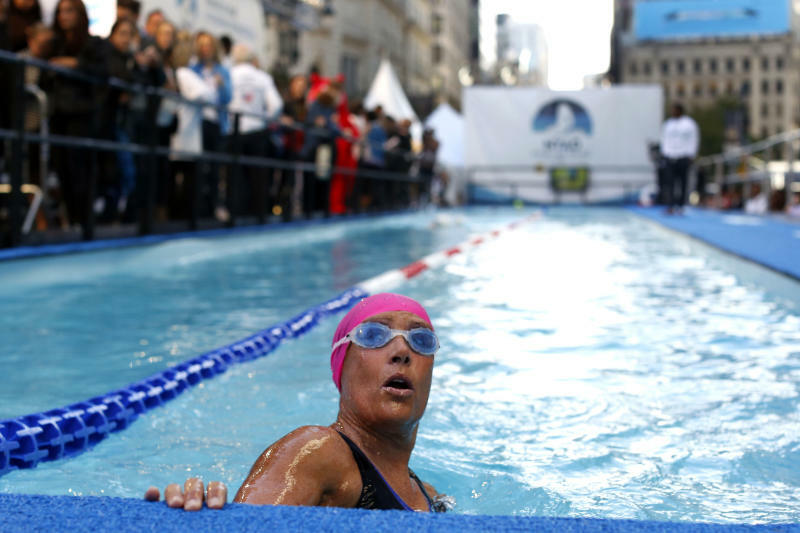 NEW YORK (AP) — Endurance swimmer Diana Nyad (NY'-ad) is entering the final hours of her marathon Manhattan swim to benefit victims of Superstorm Sandy. 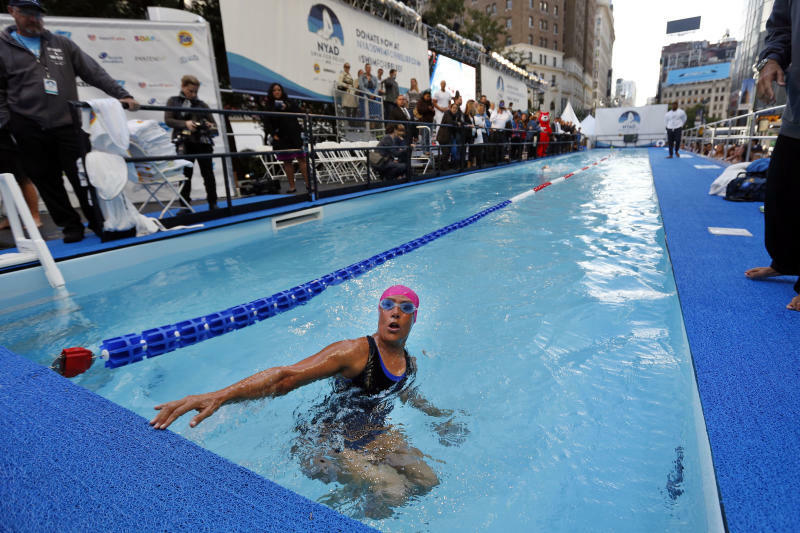 Nyad started the 48-hour swim Tuesday morning in a 40-yard pool set up in Herald Square. Her aim is to raise money for people still struggling a year after Sandy. Contributors make donations anytime during her swim. 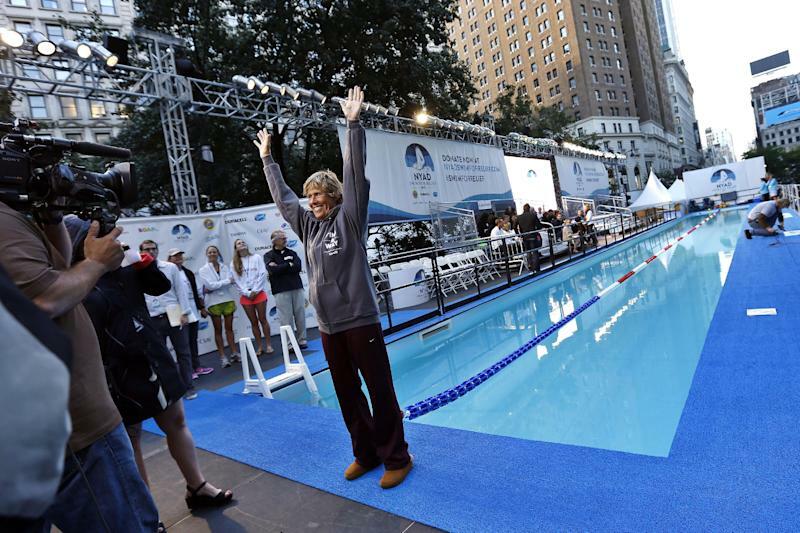 Just before 3 a.m. Thursday, Nyad had been in the pool for more than 42 hours and had raised more than $72,300. Last month, the 64-year-old New York native became the first person confirmed to have swum from Havana to Key West, Fla., without a shark cage.